What is a Social Enterprise anyway? A Social Enterprise, Social Venture or Social Purpose Business, is an initiative with a double bottom line of both “Purpose” and “Profit”. The purpose of The Raw Carrot is to provide employment for individuals with dis(Abilities). The vehicle through which this happens is the sales of gourmet soup. Why Start a Social Enterprise? Churches and nonprofits depend on the donations of generous individuals or grants to run their programs. While these are amazing and necessary sources of funding for charity work in Canada, it is sometimes difficult to run programs while relying on inconsistent support, and a lot of time can be spent fundraising. A Social Enterprise is intended to be self-sustainable – the sales of the product fulfill the financial needs of the initiative. By purchasing Raw Carrot gourmet soup, a ‘socially conscious shopper’ gets a healthy product, while contributing to local employment. A Win-Win! The Raw Carrot started in 2014 as an initiative of Paris Presbyterian Church to support individuals in the congregation who were struggling to meet their basic needs. Although they were accessing the church for financial and social support, they were frustrated by their reliance on others and yet were unable to find a job to change their circumstances. How does a church run a ministry/business without compromising its charitable status? Where do you source packaging for gourmet soup when the minimum order (for any reasonable cost) is 10,000 pouches, and how do you ensure its tamper-proof? What are the requirements for a commercially certified kitchen and do we meet them? Marketing madness…we need a brand, assets and collateral! The depths of food safety – shelf life & microbiology testing, nutritional analysis and insurance conundrums. These were complicated to overcome initially, but with support from our congregation, grants from our local Presbytery, community agencies and The Presbyterian Church in Canada, and a lot of sweat equity, we made it!! 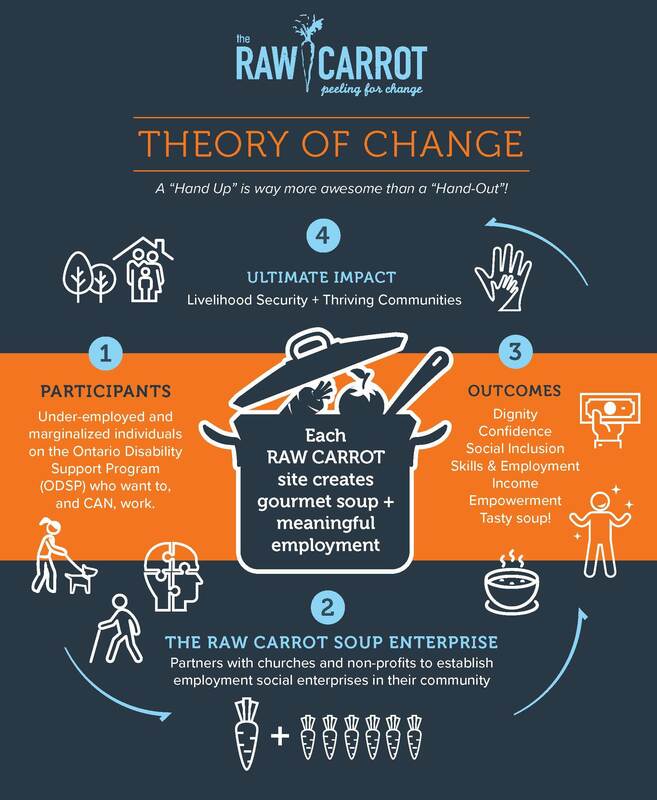 Since 2014, The Raw Carrot has employed 11 individuals on the Ontario Disability Support Program in Paris and increased their monthly income by 15% -25% on top of their disability stipend. $80,000 of healthy gourmet soup has been sold in the local community. Staff report an increase in dignity, purpose and social connections as a result of participation in meaningful work. In 2016, we realized the long road that we had traveled to create a successful kitchen in Paris. With an almost-financially viable business, permanent jobs being provided, amazing impact stories from our staff members and a number of people asking when a Raw Carrot would open up their community, we were completely convinced that this was the right path. We believe that God has given us a vision to pursue this work and help others achieve the same by passing on the skills and knowledge that we learned the hard way. In 2017, our first social franchise opened in Mt. 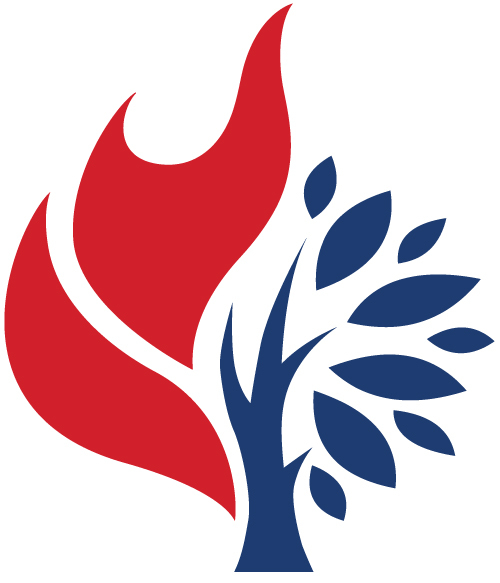 Forest United Church with 4 more staff on ODSP, which has paved the way for replication and given us the impetus for the various partnerships that we are currently working with. Three potential Raw Carrot locations are currently working to raise their initial investment to start a site and break down barriers to employment for people with dis(Abilities) in 2018.